[Pakistan has gone through many cycles in their struggle to lay a claim on (BIG (D)emocracy for quite a while, as has India. At least two or three of these massive national protests have been US State Dept “colored revolutions.” The current Imran Khan-led protests fit that mold. Pakistan’s “Green Revolution” coincides with the long-anticipated military “operation” in North Waziristan. The fact that the Army still calls the shots throughout the country (after years of democratic marches) is the key point of contention with the protesters. The Army (and police) suppression of human rights, especially in its efforts at “counter-terrorism” in the Tribal Regions, is the fire that propels the Imran/Tahrir locomotive of change. Now that Mr. Tahirul Qadri has made his unwise call to “kill Prime Minister Sharif” (if Qadri is killed), the risk that normal Pakistanis would take-up arms against the government is far higher this time. Army control over the situation is slipping away. Since Imran and Mr. Tahir are obviously intelligent men, then they must have known all along that their’s was a lost cause from the beginning. Then, Why? It is apparent, that the Western elite are prepared to take this confrontation far beyond their previous colored revolutionary attempts in Pakistan, just as they have done in Ukraine,Syria and Libya. ISLAMABAD: At least seven people were killed and 70 others wounded in firing and shelling by police at a pointblank range during an anti-government protest led by PTI and PAT in the Constitution Avenue, ARY News reported. According to details, dead bodies of three protesting women have been brought to the Poly Clinic, Islamabad. So far, seven people have been killed reportedly and 70 are injured, as a result of shelling and firing of rubber bullets by the police. Rescue sources told that nearly 40 injured have been brought to the PIMS hospital, while 30 to the Poly Clinic. The administration of Poly Clinic has imposed emergency in the hospital. Meanwhile, Pakistan Tehreek-i-Insaf (PTI) and Muttahida Qaumi Movement (MQM) have announced for a strike on Sunday, over the use of force on peaceful marchers in Islamabad. There might still be a way to solve the Ukraine crisis without escalating military action and the debilitating economic consequences of increased and lengthy sanctions, and that would be to give up the east of the country, just as the Crimea, and quickly join the rest to Europe, according to some analysts. European leaders are meeting this weekend and the NATO military alliance holds a summit in Wales next week, with President Barack Obama already in Europe making strong comments against Russian president Vladimir Putin. The presence of Russian troops in the Donbass region shows that Moscow is involved in what up to now was an internal battle, but NATO and the West are unlikely to retaliate with ground troops. Economic sanctions imposed by the West could be increased but as with the Russian sanctions on food stuff, these sanctions take months to really start to hurt and in any case are as costly for the export sector, employment and economy of Europe as they are for Russian consumers and the domestic political climate there. Justice Minister Ashraf Rifi vowed to legally pursue a number of protesters who set ablaze a flag for the Islamic State of Iraq and the Levant (ISIL) . 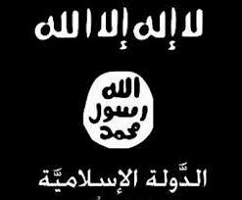 The minister said in a statement issued by his press office that the ISIL flag has the first pillar of Islam (Ashahada) written on it, which is the testimony that there is no god except for Allah and Mohammed is the messenger of Allah. Several people were seen in Beirut’s Ashrafiyeh Sassine Square burning the flag of ISIL earlier in the day. He filed a request to General Prosecutor Samir Hammoud to pursue the assailants and detain them in order to prosecute them. 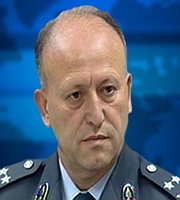 “This demeanor insults religions and could incite sedition,” Rifi considered. The Lebanese army clashed with Syrian rebels in the northeastern border town of Arsal on August 2 after the army detained a leading jihadist. It ended with a truce negotiated by Muslim clerics, but the jihadists withdrew from the area taking 24 policemen and soldiers hostage. The Islamic State (IS) jihadist group has prompted widespread concern as it advances in both Syria and Iraq, killing hundreds of people, including in gruesome beheading and mass executions. Later in the day, LBCI reported that Change and Reform bloc MP Ibrahim Kanaan, who is also a lawyer, decided to defend the youth who burnt down the ISIL flag. During routine network maintenance at 4:30 a.m. 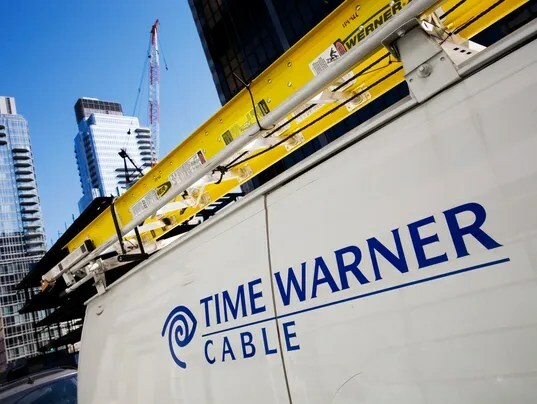 ET today, “an issue with our Internet backbone created disruption with our Internet and On Demand services,” said Time Warner Cable vice president for public relations Bobby Amirshahi in an email exchange. “As of 6 a.m. ET, services were largely restored as updates continue to bring all customers back online,” he said. The outage affected the entirety of Time Warner Cable’s network. Time Warner Cable (TWC) operates in 29 states and has 11.4 million high-speed Internet customers. Business Insider first reported news of the outage, which seem to have hit around 3 a.m., based on outage reports submitted to the website downdetector.com. A Syrian boy waits for customers in a wealthy district of Beirut in this Nov. 16, 2013 file photo in Lebanon. A few steps from Brisk Cafe on Beirut’s Hamra Street, a teenage Syrian squats with her three children and cups her hand appealing for loose change. Along the road, a Syrian shoeshine boy urinates against a poster. Imagine if everyone in Mexico spilled over the U.S. border and many ended up scratching for a living on Manhattan’s Fifth Avenue. That’s the scale of the human wave from war-torn Syria washing up on what was once known as the Middle East’s Champs Elysees, a magnet for wealthy Gulf Arab shoppers in the 1970s. While immigration has transformed the social makeup of cities from Seattle to Seville in recent years, few places have seen anything like the influx in the Lebanese capital. Syrians now number more than 1.1 million in a country of 4.5 million people, making it the largest per-capita recipient of refugees in the world, according to the United Nations. Greater Beirut’s population is about 1.2 million, the World Bank estimates. A Syrian refugee begs on Hamra Street, Beirut, Lebanon. The friction on Hamra highlights rising tension among locals in a place that historically was a tinderbox, as Beirut became a byword for bombings and sectarian violence during a 15-year civil war that ended in 1990. The crisis in Syria deepened with Islamic State militants seizing an air base from forces loyal to the government of Bashar al-Assad. Displaced from their homes with no means of securing basic necessities, Syrians shine shoes, pester café customers for a pound or two, or trail after shoppers to sell bouquets of wilted flowers. Fatima Hasno, 16, the mother squatting a few feet from Brisk, said her husband sent her and their two children to Beirut four months ago after their home in Idlib was destroyed by shelling. She had her third child late July. As her 2-year-old daughter slept on a dirty handbag and a blue towel, her 4-year-old son ran around barefoot. Mohammed Kuwayyes, a Bangladeshi supermarket worker, slipped 1,000 pounds (66 cents) in his hand. “I love children,” he said. Hasno, whose husband stayed in Syria, makes $20 on a good day. “I hope things will change so I can get my children out of this poverty,” said Hasno, her hair covered with a black scarf. Ismail Ghazzawi, 15, moved to Lebanon shortly after the Syrian conflict began in March 2011. In his southern hometown of Daraa, Ghazzawi, who has never been to school, made a living as a farm hand, growing cucumbers and tomatoes. He now shines shoes on Hamra Street and sends $100 to $150 a month to his family back home. He’s been detained five times by police in the past three years for working without a permit. Each time, his box, which costs about $30, was confiscated. That hasn’t been enough to deter him from returning to the busy thoroughfare. The flow of the mostly Sunni Muslim Syrians risks upsetting the sectarian balance in a country where Christians, Sunnis and Shiites each roughly make up a third of the population. A raid by mostly Syrian fighters from the Islamic State and al-Qaeda-linked Nusra Front in the border town of Ersal this month triggered several days of clashes with the Lebanese army. Some of the fighters were hiding among refugees. The involvement of Lebanon’s Shiite Hezbollah militia in the Syria war deepened those tensions. Lebanon has been shaken by a spate of bomb attacks since the group announced last year it was fighting alongside Assad. Unlike Turkey and Jordan, Lebanon hasn’t created formal camps for the refugees on concerns they would heighten sectarian tensions. The country already houses 455,000 mostly Sunni Palestinians in a dozen refugee camps. Instead, the Syrians have set up more than 1,720 residential centers, 400 of them in poor villages where there is daily friction with local residents, Labor Minister Sajaan Qazzi said in an interview. The refugees are straining the dilapidated infrastructure, including electricity and water, which hasn’t kept up with local Lebanese demands. Many Syrian children have gone without an education for more than three years amid abject poverty, making them easy prey for groups like al-Qaeda. Lebanese Prime Minister Tammam Salam said in June that his country needs support to “prevent the collapse of the economic structure.” Unemployment exceeds 20 percent and more than a third of crimes are committed by Syrians, Economy Minister Alain Hakim said in a May 28 interview. According to figures published by the United Nations High Commissioner for Refugees on Aug. 21, there were 1.13 million registered refugees in Lebanon and 31,239 awaiting registration. Jordan and Turkey have taken in 1.43 million, the UN agency says. Not all have come to Lebanon because of security concerns, the government contends. “The influx of Syrians has become more of an immigration than a displacement,” Qazzi said, comparing it to Lebanese who seek jobs overseas. Groups of Syrian laborers hang out on the city’s major intersections or under overpasses, waiting for jobs in construction. Others work as waiters, taxi drivers and porters. Some, like Fatima Hasno, can be seen begging on Hamra. Mohammed Ammar, 16, who shines shoes, said while some Lebanese are generous, a few do not try to hide their hostility, using swear words to shoo him away. One time, he was kicked out of a restaurant when he went in with a Lebanese man who wanted to buy him a sandwich. “The manager told me: ‘You’re a shoeshine boy. Go away,’” he said. “I felt alone and humiliated,” Ammar added before going to relieve himself in a nearby parking lot whose wall was plastered with posters promoting a concert in the ancient Roman city of Baalbek. At the sidewalk restaurant Alia, manager Haidar Hammoud said one waiter has the duty every day to ensure beggars don’t pester his diners. “Their numbers have grown and they’ve become problematic,” he said. Angelo M. Codevilla is professor emeritus of international relations at Boston University and the author of To Make And Keep Peace, Hoover Institution Press, 2014.